Following my venture in the creation of an arcade cabinet from scratch I decided to face another project. 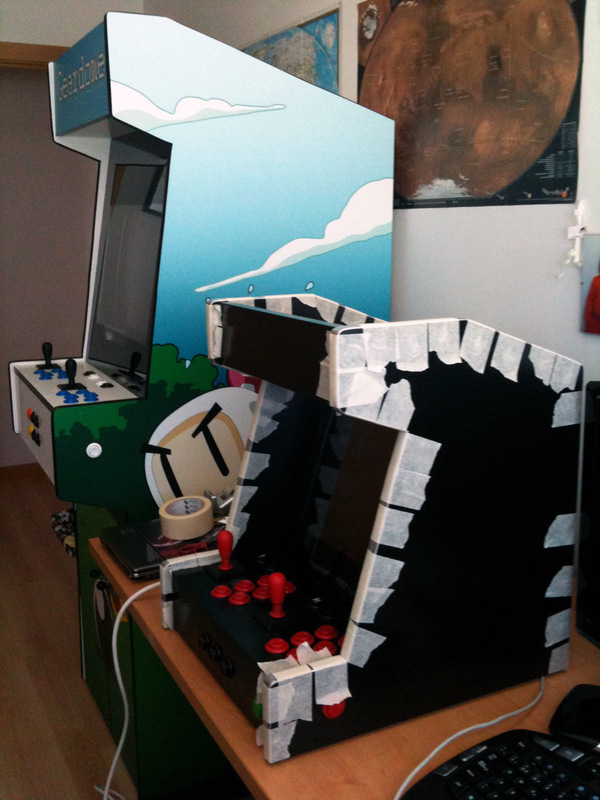 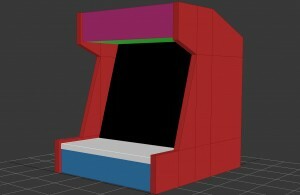 This time I wanted to make an arcade bartop. 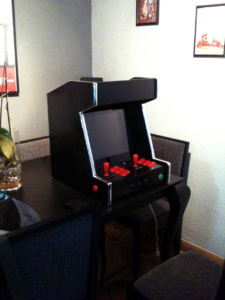 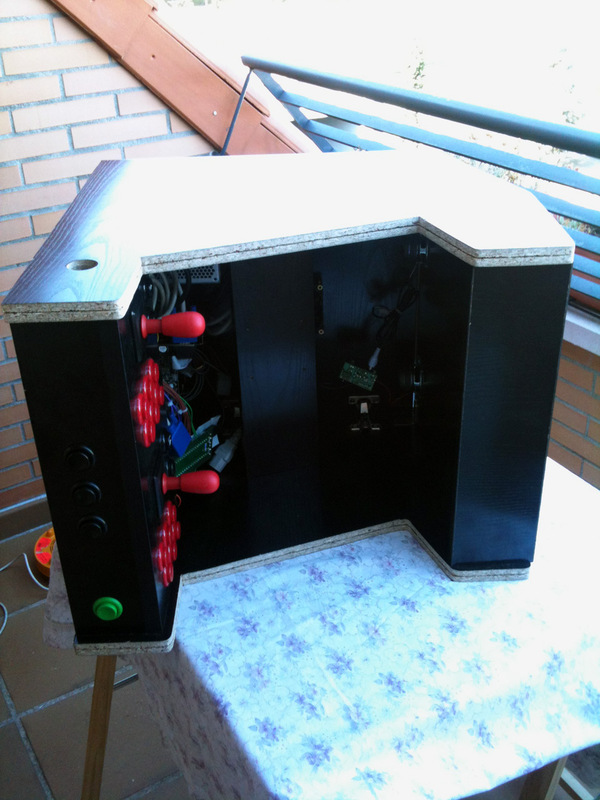 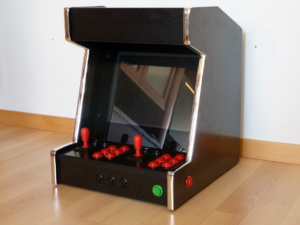 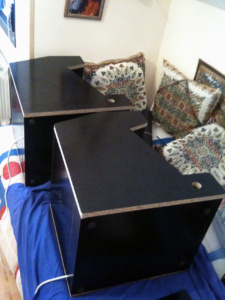 This machine is like a mini arcade cabinet designed to be placed in the top of a table. 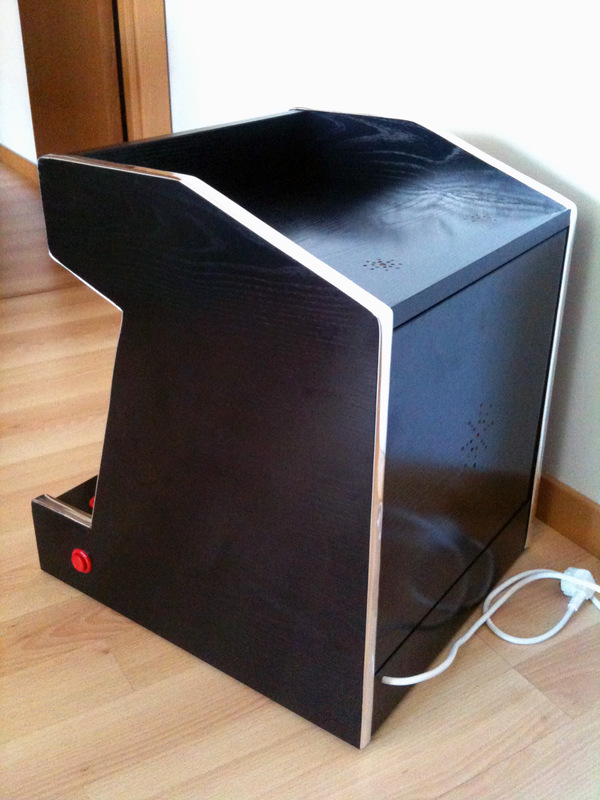 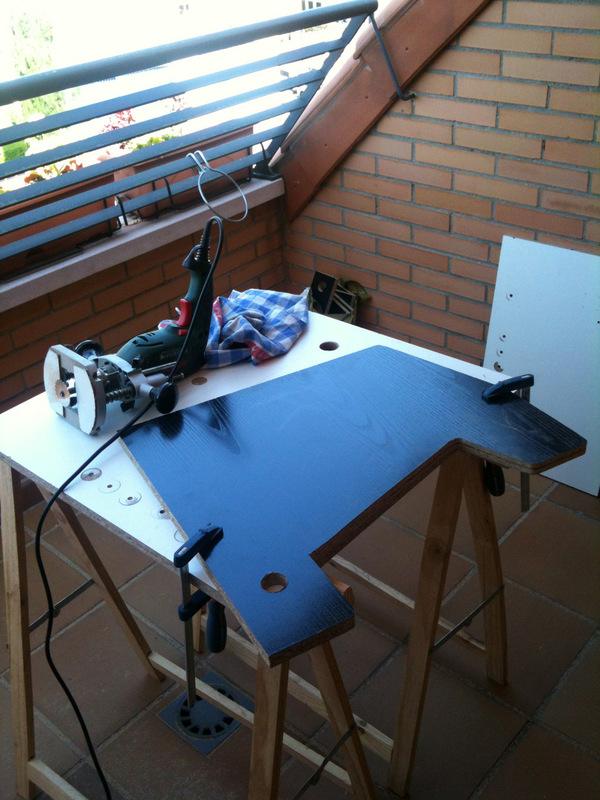 With little amount of wood I can easily build two identical machines and so I did. I changed the design a little bit to mount a 15” tft monitor inside. The size of the control panel should allow for two players too. 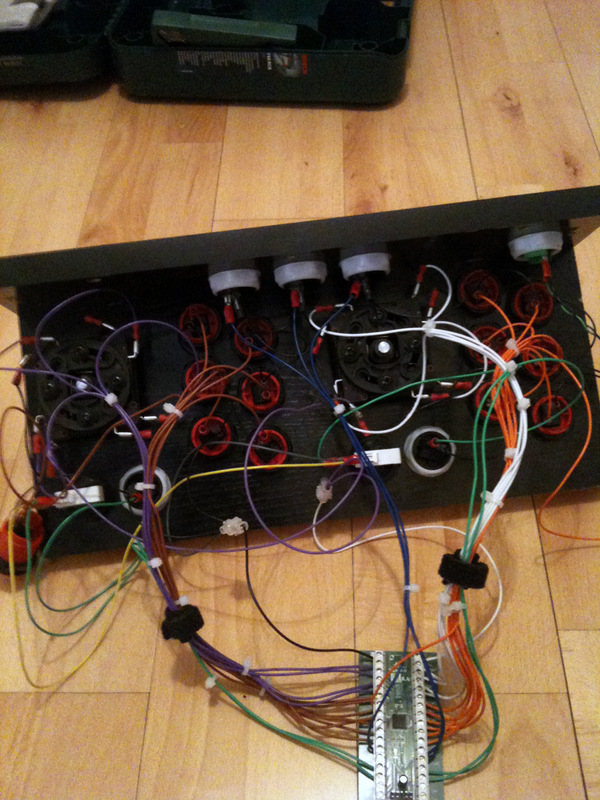 Putting all the components inside was a little bit tougher this time, because all of the reduced space. 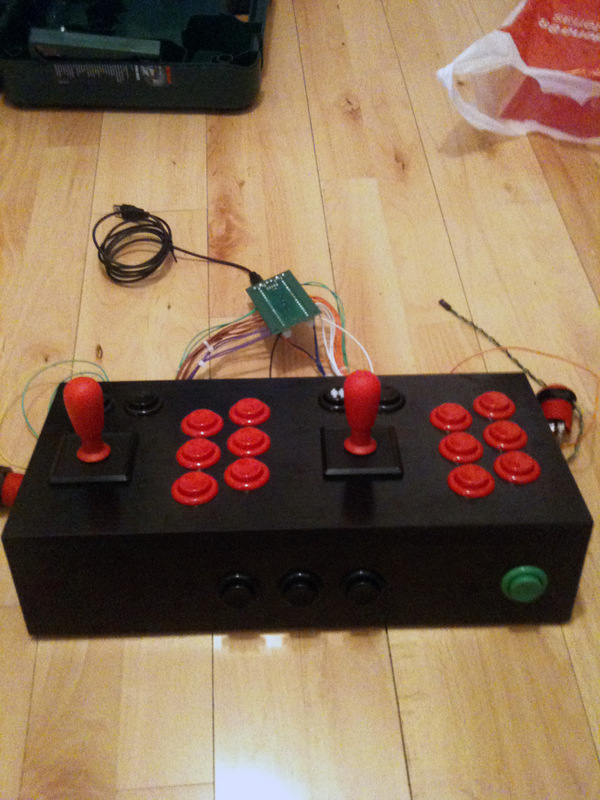 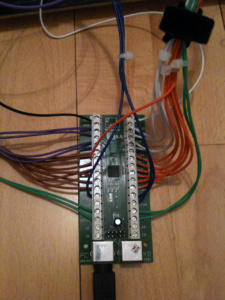 I used the same buttons and controllers from Ultimarc, just like in my previous cabinet. 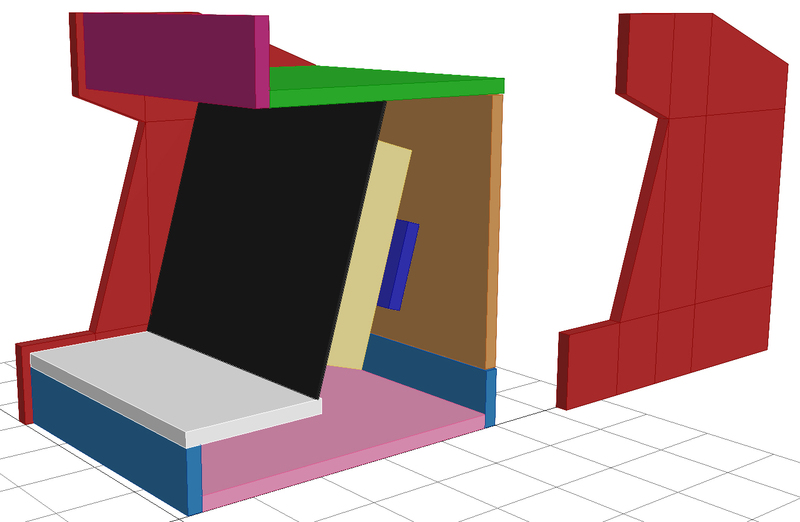 I put a door on the rear so I can access all the electronics later on. The two models side by side.